It's the "social" social media event of the year in Wales - hundreds of people involved in digital marketing are in Cardiff to hear insights from the likes of Google, Twitter, YouTube, and IBM. John Watton, EMEA marketing director at Adobe Marketing Cloud who is returning to his home city for the conference; Amanda Neylon, head of digital at Macmillan Cancer Support, whose career has included Vauxhall Motors and the Met Police; Dr Jonathan Deacon, reader in marketing and entrepreneurship at University of South Wales, with a background in business, and Andrew Grill, global partner social business at IBM and previously CEO of Kred. 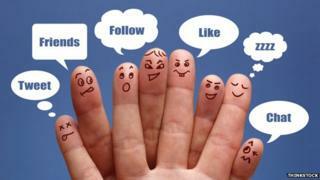 Marketing on social media - is it about big bucks or can even the smallest business do it well? John Watton, EMEA marketing director at Adobe Marketing Cloud, @jwatton: "What I love right now is that the old barriers to marketing - money and technology - no longer exist. Marketing is accessible to everyone and it has become more about a company's willingness to do these things and their understanding how it can help to meet your business goals. Saying that, if you are able to invest in social media marketing you will be able to go far beyond just the likes and follows, and tie every piece of data to your bottom line." Amanda Neylon, head of digital at Macmillan Cancer Support, @amandaneylon: "I believe with the right insight driving the decisions anyone can do great social media marketing on any budget. Many of our social media marketing successes have been around amplifying amazing user-generated content rather than creating specific assets, because that is where the powerful stories are. For example, promoting tips from The Source - our site designed to help us reach friends, colleagues, neighbours who may want to help someone with cancer but don't necessarily know what to do or say - has been a powerful way to reach new audiences." Dr Jonathan Deacon, reader in marketing and entrepreneurship at University of South Wales, @UniSouthWales: "No, like a lot of things in life the more cash you throw at something does not mean that it will get better. Social media is about three key things in my mind. Who you want to talk with, what you want to say and what you want them to do once you have said it. "Firstly, do you know your audience? Not just bland agglomerations of 'people' but an in-depth understanding of the individuals that make up an audience. What type of content do they read/share and why? How is it written? "Secondly, what do you want to say to this audience? What are you trying to achieve? Writing content is critical. Will the content that you share have meaning to the audience you want to communicate with and will they respond? "And thirdly, do you want someone to share your content, act upon it or perhaps just be amused by it? "If you take a closer look at these three things you will probably see that small firms are just as able as large firms to achieve a meaningful outcome with social media. I always think that small firms are better able as they have an intimate knowledge of the audience - they may even be part of the audience themselves." Andrew Grill, global partner social business at IBM, @AndrewGrill: "Just as 12 years or so ago when the internet first appeared, smaller companies that took advantage of this new tool could appear much larger than existing companies. "With social media, even the smallest company can have a global presence. I've seen companies of all sizes become successful with social media because they take the time to understand the language of social and engage authentically with their customers and fans. "My tip is don't treat social as a marketing channel, treat it as a conversation you would have with someone at the conference. You need to have something of value to exchange with your audience and not just interrupt a conversation. "I often challenge conference participants to go up to two other people at a networking break and see how long it takes to be invited into the conversation. If by listening closely you see where what you might say will add real value to the conversation, you will be welcomed in. If you just want to sell something you will be waved away. This is the same with social." Image caption Is advertising a thing of the past? People are already saying, 'ads are spoiling my social media experience' - are there lessons for brands/businesses to learn? JW: "A big learning for brands is that just because you can, doesn't mean you should. Even with all this new technology, not a lot has really changed and the basic principles of marketing remain - understand your customers, what they want and when they want it. Online marketing is all about the right time, right place and right message. If it doesn't deliver on this, it could have a negative impact on your brand." AM: "I think relevance is the key here. We as brands have access to so much data about our customers these days and it's important we use that when making marketing decisions. Personalised ads then have the capacity to become more useful additions to our customers' experience rather than intrusive." JD: "Yes, if the audience is dissatisfied with the content then you should listen and do something else. Social media is just that, social and therefore conversational, informal and individualistic. Advertising belongs in the age of mass market and mass communication - in the past." AG: "As I will explain during my Oi keynote [speech], social media is just like real life. My fear is that many companies see social as just 'another channel' and they try and push products on to people without understanding that they are interrupting existing conversations. We may never get away from 'ads' of some form. However, with social now being such a powerful tool, companies cannot simply reformat a marketing message for a social network. The lessons to learn are that companies that choose to engage with consumers and fans rather than advertise to them will be more successful in the longer term in my opinion." What's the best example of a good campaign on social media you've seen recently? JW: "Each year Adobe runs a digital marketing summit in the US and here in EMEA. While we work really hard to put together a great physical event, we make sure the experience starts long before and after the summit has taken place through our social channels. It's a great example of how a traditional marketing channel has been given a new lease of life through digital technology." JD: "For the very best execution of how to use social media take a look at Hiut Denim. They understand their audience, what they are trying to say and what they want people to do." AG: "Too many to choose from - but those that work across multiple platforms with a credible call to action get my attention." What's your favourite social media and how often do you use it? JW: "Twitter is the first thing I fire up when I get up in the morning. I probably use it every hour for news and sharing content I find interesting with my network." AM: "I still use Twitter a lot, mostly listening to keep up on what's new in digital (and the world) but I do try and tweet something useful at least once a day." JD: "LinkedIn - every day." AG: "Twitter! I wouldn't be at the Oi conference without Twitter - famously my "one tweet" in January 2011 lead me to working for IBM. I tweet whenever I have some downtime, in between meetings or walking home." When you eat, is your phone/tablet switched off? JW: "When I'm on my own, no. When I'm with my family, yes. It's a rule to never bring our phones to the table." AM: "Nope I tend to be always connected - though I don't take photos of my food." JD: "Mine is, but my wife keeps hers on, although she only answers once we have eaten." What's the last non-work related app you downloaded? JW: "This was the new Apple watch game 'Rules!' I'm expecting my new wearable to arrive anytime soon." AM: "My Apple watch has just been delivered so I'm spending quite a bit of time right now playing with all the apps I can have on it." JD: "A tilt-shift photo app which makes everything in your photos look miniature - very clever." AG: "WhatsApp - I'm one of the 700 million people sending 30 billion WhatsApps each day." JW: "One of the problems with social has long been proving its ROI (return on investment). We are now starting to think of social as a data-driven science, which is a great first step in helping to prove its value and starting to have meaningful conversations with other data-driven marketing teams." AM: "Data! I'm genuinely excited about data, or rather ways of using it. I think that we need to really develop the ways that we use all the data available to us to personalise customer experience across digital channels. Whether that's gathered from our social activity or newer areas like ibeacons or wearables, we can gather so much valuable data to make online experiences more impactful. Making connections between our online social interactions and all the offline data we're gathering about our lives will enable truly personalised, useful and interesting digital experiences." JD: "I see a lot of developments around 'EdTech' and I'm pretty sure that some of that will be successful when taken to market. I also think that the very smart and probably small firms will begin to better integrate social media with personalised communication. I can foresee firms mixing high-end social media with low-end hard copy, with great effect. For example, Twitter feeds backed up with occasional and highly personalised written letters, cards and the like - authoritative and authentic." AG: "Corporate Social Networks - we've only just scratched the surface of how companies can collaborate using social techniques and allow employees to be more productive, and more satisfied at work because they can share in the corporate wisdom of hundreds and even thousands of colleagues around the world. While this will be huge, it requires a massive cultural change, and will become the #NewWayToWork. This is something that clients are keeping me and my team at IBM very busy." Is social media fuelling a Mexican Spring?